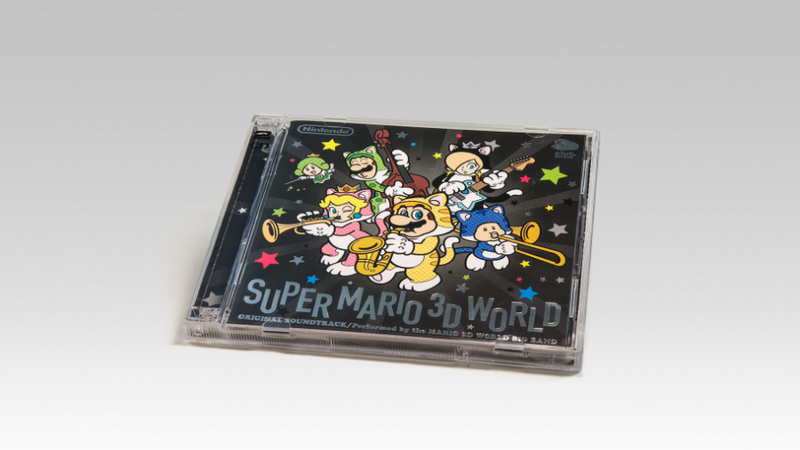 Last year we shared the news that Club Nintendo in Japan received an awesome Super Mario 3D World 2-CD soundtrack; we were envious as the Wii U title has a number of outstanding 'Big Band' tracks that still stick in the mind. Jump back into SUPER MARIO 3D WORLD's Sprixie Kingdom with the game's official soundtrack CD! 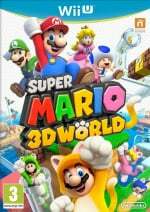 This two-disc collection features 77 tracks performed by the Mario 3D World Big Band. As you can see in the images above and below this also looks attractive as a collectible. Unfortunately this hasn't been added to Club Nintendo in North America at the time of writing, but we hope it's just a matter of time. Are any of you in Europe or Australia planning to pick this up? So…are stars more or less equivalent to coins in the US? Because I sure don't have 2000 coins. I hope they bring that to NA. So cool. I would get if I had enough reward coins...and if it came to NA, that is. Dang that's a lot of stars! I wonder how many coins it'll cost in NA. Where's my Tropical Freeze soundtrack, Nintendo??? I wish they'd sell it on actual stores, too, since Club Nintendo is not an option for us South American second-rate customers. Had 2600 Star Points saved, so yeah - I got it! @Liam_Doolan My annoying Chromebook isn't getting on with the Club Nintendo website, so I can't login. Darn it! I got 5000 stars but am waiting for something I might actually use. Had to scramble in a few surveys; I had some downloads still sitting unclaimed on my account, so I got my order in! My account is pretty dry for stars now, though; I've ordered a lot recently. I'm glad I stayed up really late tonight! Does anyone have a rough idea of how stars (Europe) compare with coins (North America)? This looks like a fantastic reward. Hopefully it becomes available in North America too! I'm excited for this just because it means we might get a Tropical Freeze soundtrack! I would order that the moment it would be released! I'm not back home till Monday and by then they'll all be gone and I have enough stars to boot. I'm wondering too... How do stars compare to coins. In NA you get about 60 or 50 coins for Wii U games and 40 for 3DS games. What do you get for this in Europe? That is awesome! I am approaching 700 coins again for NA, but I really wanted that Yoshi carrier for my Wiimotes... I'll see if it hits. Just been spending a ton of coins. @ThomasBW84 Someone get this man a new laptop! @ThomasBW84 It's Nintendo.co.uk not club.nintendo.co.uk if that's what your trying . I am beyond jealous of you guys in Europe and Australia! Bring it to North America Nintendoooooooooooooo! I still want an option that requires me to directly spend money on these and other soundtracks. Paying someone £50 on eBay who paid Nintendo 3000 stars is not what I mean. I'm talking download stores like google play, Amazon MP3 or even ugh, iTunes. @ejamer @TheWhiteFalcon Roughly 1 coin is 5 stars. So 600 coins? But I say roughly because Club Nintendo America nearly always gives post play surveys (here in Europe you need to register at release for these), intend to buy surveys still exists (these were around and then there is the fact that platinum prizes exist which give you freebies just for earning 600 coins in a year (no such thing in Europe, but slips that expire 3.5 years from release and earned stars expire after 24 months making it hard to earn many...which is intentional). Then on the European side you have things like double stars for first party retail games downloaded via the eShop (makes up for the price hike, maybe). @Mk_II 500 for Wii U games? Are you sure you are not mixing up the double stars for eShop retail downloads in to that. FYI you can also get these on ebay but the prices are abit random. For comparison, Australia gets 250 stars for a full priced game, generally 200 for 3DS first-party games, and 500 for consoles. Sounds like I'm getting 77 new ring tones! How many Stars do I get for the products that I register? For details on all systems, click here. @Jazzer94 Do you think so ? The Galaxy Soundtrack was available for ages. CD's are pretty pointless in this day and age. I wouldn't spend coins on them. @unrandomsam Its like almost 1000 stars less though. Wish Nintendo made more soundtracks available. 1.- I've been wishing to own this Soundtrack since the first second it was announced on Japan. 3.- Even if it's released in America I would not have the chance to get it because I live in freaking Mexico!!! I've got 8,000 points... but I didn't have enough for the luigi diarama when it came out and I'm still gutted about that :/ Bring it back! @dumedum they are collectibles ; and have better sound quality and endurance. And you can touch it. Hmm this or that yellow charging cradle... Will it get released on iTunes? Thanks for the clarifications. Seems like a reasonable price based on what other rewards cost in Club Nintendo here. Cool beans! So to get an idea of how the European stars transfer to our coins, I looked at both the American and European club Nintendo shops to see if any items were the same. The only thing that was the same was the Yoshi screen cloth. In America it's 400 coins and it's 1500 stars in Europe. Some one earlier stated that a full price Wii U game gets you 500 stars. So it would take you the 3 Wii U games to get that. In America, it would take you 6 Wii U games plus 1 3DS game to get the 400 coins. Not to be that guy, but...that doesn't seem super fair. Well I've been holding thousands of game codes for years (unfortunately around 4000 stars worth of codes expired) but I believe I still have plenty. Will be typing em in tonight. Oh. My. Please, NOA, Please. @Klunk23 If you take into account the person who said 500 stars for Wii U games is wrong (it is 250) and Americans get post play surveys to puff up their coins it works out very much the same. But you can't really use item prices as a metric (it is only buying power, like a big mac index) the items are priced to get rid of your stars/coins (as these pro grammes run on a certain budget). If most users have a lot of coins, then the items cost more. Likewise you see how it is cheaper in Australia as their service is much younger so far fewer users have very many stars. 3. Collect anything video game related. Is it me or NA just get the worse possible rewards. We always get BS. I'm calling it: it's not a standard reward right now but it'll become a platinum reward for this year. Knowing NoA, this will never be in the NA Club Nintendo. I'd like to see them prove me wrong though. Better bring this to damn America. I seriously doubt this will make it to NA Club Nintendo. If anything, it might be a Platinum prize. You're not being paranoid; it's true. And actually, I highly doubt that we'll see this as an Elite reward of any kind. If you noticed, the Platinum rewards have been getting worse each year. Most likely, we'll be getting a folder and bookmark set this year. Heck, not even a set. Even more likely is that they'll have us choose ONE folder OR ONE bookmark from a slightly varied selection. Better work towards platinum, then. Because we all know it's going to be a platinum reward. @Starwolf_UK Ah. Then it is a lot more fair than I thought it was. Good to know. Just ordered... man, I was feeling comfortable with over 10,000 stars recently but the invincible music is almost ending!! Yeah me too, I think I'll wait for those ultra exclusive "Year of Yoshi" items later this year, hint hint Nintendo. Oh man, REALLY hoping they bring this to NA. @Starwolf_UK You get double for full price 3DS downloads. (I got 500 each for NSMB2 and 3D Land). I presume the same thing applies to the Wii U. @Lebon14 I think NA on the whole has the best possible rewards. (Stuff I would otherwise have to spend money on.) Other than the SNES Classic Controller which I never got in time I think everything else is utterly worthless on the EU Club Nintendo. You know, I would probably go out and buy games just to get the coins necessary for my brother to get this. Ehh, too much money. I'd gladly pay twenty bucks for it, though. DKC Tropical Freeze Soundtrack. Yes. @ricklongo I wish that Nintendo would release all of their game soundtracks at retail stores. They could release the soundtracks at GameStop only for $10 each. I would buy all of them ASAP!!!!! @dumedum They're as pointless as boxed games at retail. Do you buy those? Platinum reward for NA perhaps? Hopefully this is America's platinum reward! I really hope this comes to the states though. I don't have 3D World but I love the soundtrack. I am so glad I haven't taken the surveys of all of my downloaded games, there should be enough waiting in the wings. I just wish the Club Nintendo Europe site was quicker! I want this, I'll check how many stars I have. @Bulbousaur I choose the 3D World one because it has actual beautiful artwork. Might as well get myself it because I have about 7,000 stars gathering dust,as some still yet to add. How enviable! I have no hope for seeing this as a standard reward on the NA Club Nintendo, but I suppose I have a potential reason for trying to reach Elite status this year. If nothing else, I love seeing new traditional Mario artwork. @vonseux- the quality is not better in any way. The rip of the file is the same. People DL in any format they want. Its not records. And to clarify, I do like CD's, I have a huge collection back home, from the 90's. But right now I wouldn't waste club nintendo points on them. I got the Majora mask cd as a reward but not by choice really. @dumedum Well, there are enough people interested in them to have them sold out at Club Nintendo. You don't want them, and that's fine. There are plenty of other Club Nintendo rewards I wouldn't want either. Fact remains that there is an audience for such products, as much as for Zelda posters or Pikmin shopping bags. Mine arrived today. Surprising how high quality it is and how incredibly quickly it arrived. 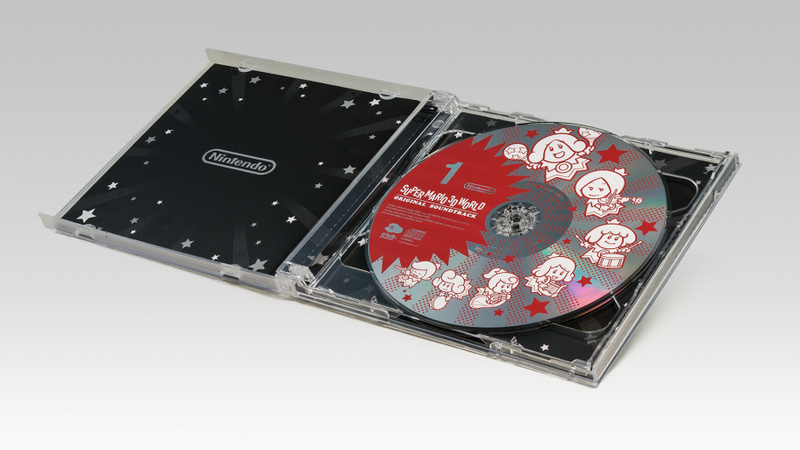 I currently have 3020 coins.....in club nintendo........But I live in NA so yeah , This soundtrack needs to come... NOW!! Sweet music while you play !! Was about to get this CD until I saw that the UK Version of Club Nintendo didn't have it in their stars catalog anymore.I tried asking them and they said that they can't confirm if it will return to the catalog. Save on Darkest Dungeon, INSIDE, Night in the Woods, Minit etc.